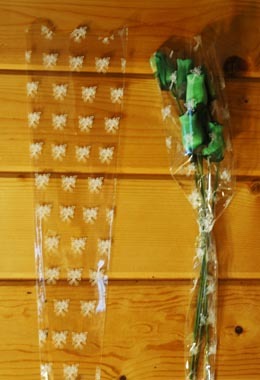 Cellophane sleeve for Wood Roses. Small Sleeve with white printed floral pattern. This sleeve holds around 6 roses.